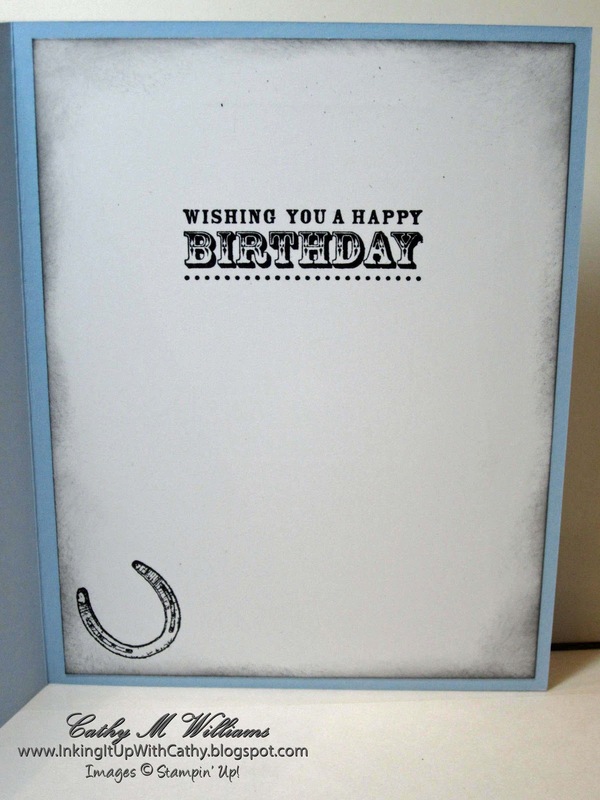 The request was for a male birthday card and what is more masculine than a cowboy? 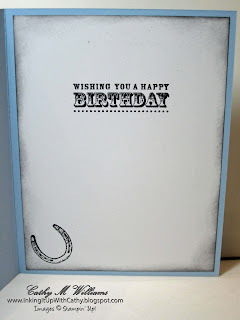 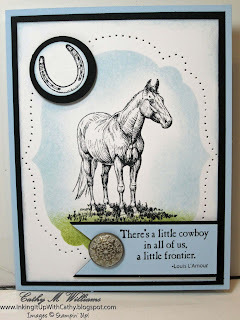 I CASE'd this card from one on SplitCoastStampers - with a few twists of my own. 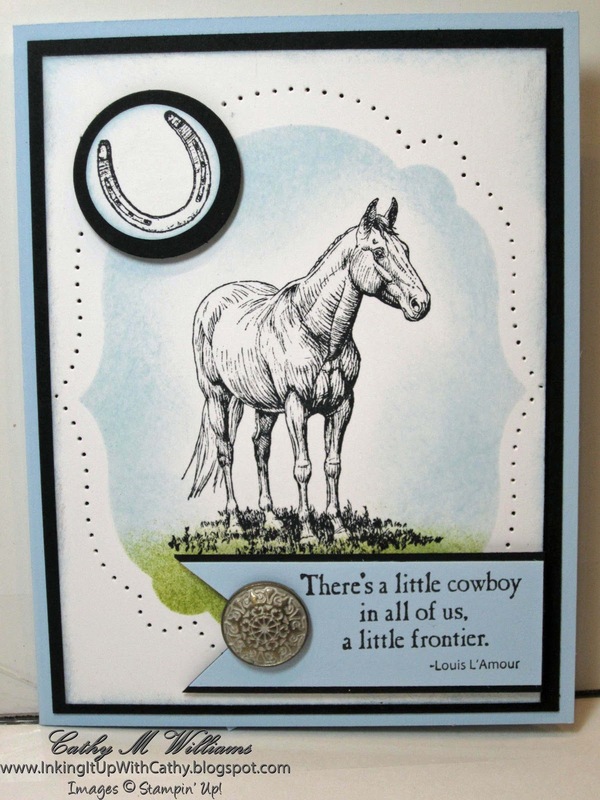 The sentiment on the inside comes from a retired stamp set but it is one that I just love and fits so well with the horse theme.